Anne Klejment accepts her award from ACHA president Richard Gribble, C.S.C. “Why learn history?,” Anne Klejment writes in her U.S. Catholicism syllabus, “It is time travel,” she explains, “transporting us from ourselves and our limited perspectives and linking us to people and societies separated by time and space. The past has shaped our modern word in ways that we will begin to better understand in our study of history. … Knowledge of history gives context and meaning to life and to a valuable liberal arts education that unlocks vaults of knowledge.” It is this approach to the study of history that has inspired her students over the years at the University of St. Thomas. It is why she has been nominated and awarded the 2018 Distinguished Teaching Award, but let us hear from those who nominated her. Both in and outside of class, Dr. Klejment has demonstrated her passion and commitment to teaching history, while staying true to, and promoting, her Catholic values. As a student and advisee to Dr. Klejment, I have been witness to this passion and I am thankful to have worked closely with someone who is so willing to share her love for history with her students. Some of the most memorable parts of Dr. Klejment’s class, the student continued, were when she talked at length about a topic or a person in history that she felt strongly about – the example that comes to mind immediately is Dorothy Day. I will never be able to come across Day’s name without thinking of Dr. Klejment. Another thing that made me appreciate her as a professor and advisor, is her ability and willingness to have and facilitate tough conversations. In her Twentieth Century U.S. History class, we talked exclusively about marginalized peoples, which provided countless opportunities for politically charged and controversial discussions – all of which she facilitated with ease. I was constantly impressed by her, and as an aspiring teacher this is one skill that I hope to gain from her. In all, Dr. Klejment is one of the most intelligent, kind, genuine, and passionate instructors that I have had at Saint Thomas, I am glad to have had her not only as a professor, but as an advisor as well. I know that she is as committed to her students as she is to teaching and for that I am not only thankful, but inspired. 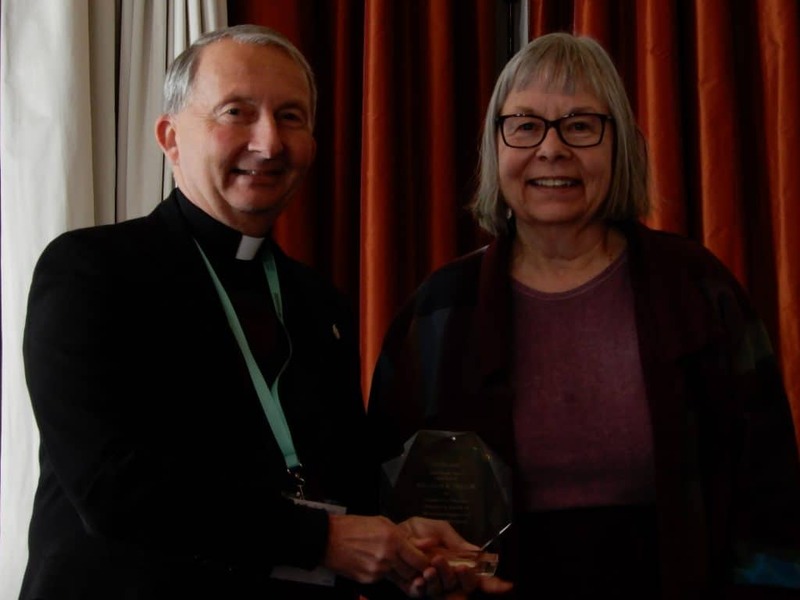 It is for her dedication to the art of teaching, her love of her students, and her devotion to the pursuit of knowledge that the ACHA presents the 2018 Distinguished Award for Teaching to Dr. Anne Klejment of the University of St. Thomas.